Scotland claim historic victory over England in opening fixture of The Commonwealth Games 2018 taking the 78-65 win in Gold Coast. 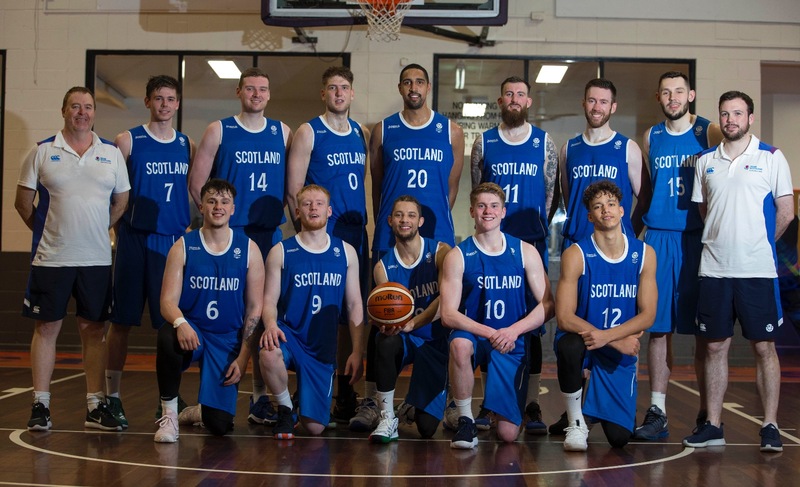 A huge first game for the Gold Coast 2018 saw one of the most exciting spectacles of basketball as Scotland tipped off the their 2018 campaign against the auld foes, England. With both teams boasting stellar BBL talent, Scotland accompanied their pro players with some of the best from the SBC Men’s League and young Scottish talent playing in the English Academy system. Rob ‘Bevo’ Beveridge came into the squad late and only had 3 warm-up games to get to really know his squad, he’ll be delighted that Scotland went 3-0 in their friendlies, boosting the confidence of a nation. Young starlet Fraser Malcolm, playing in the States was named into the starting 5 along with Jonny Bunyan, Gareth Murray, Alisdair Fraser and Kieron Achara. All 5 making history for a nation watching back home. Nerves were apparent for England as they failed to score on numerous trips against the Scottish defence, only for Murray to open the Commonwealth scoring with a deep 3. “Fitting” the commentator called it, Murray being the only returnee from the last time basketball was in the Commonwealth Games, in 2006. Halfway through the first, the game was tied at 9 a-piece as Bevo put his faith in Scottish youngster Sean Nealon-Lino, who with a country wishing him all the best back home, repaid the faith with a strong cut to the basket as the first man off the bench. Fellow youngster Kyle Jimenez joined in on the action as he checked in along with Bantu Burroughs and St Mirren star Chris Cleary. Scotland held the lead going into the last 2 minutes of the first, only for Cleary to foul Shane Walker, on the 3-point shot that turned into a 4-point play, England up 17-14. Jimenez hit a strong 3 off a well drawn-up play to finish the 1st period as Scotland trailed 19-17. Bristol Flyers pro Mike Vigor was having a tough opening moments for Scotland as he couldn’t hit anything inside, England would take pride in their defence. The youngest in the squad, Callan Low checked in early in the 2nd and made an immediate impact as he drove to the basket and dished it off for Ali Fraser to finish with a strong dunk, his move drawing the double team hailing all the hype from the commentating team in disbelief. This was followed by a deep Achara 3 gave Scotland a 25-20 lead with 7 minutes remaining, as England were in team fouls. Scotland played an amazing full court press forcing an 8-second call that garnered a huge roar from the crowd and Malcolm, the extra possession not resulting in any points as Nick Collins was put up against the tough defence on a putback off a Murray miss. Scotland were dubbed as an “undersized” team by the TV crew yet still commanded a 10-4 lead on offensive rebounds, showing the hard work and determination of the Scots. Vigor may not have had a good start but he went one on one with his defender, drove to the basket for the score and the foul to tie the game at 30. Scotland struggled against the English full court press but shook off their troubles as Vigor hit Murray with a beautiful assist for an and one as Scotland led 35-32. An English turnover left Scotland with the last possession of the 2nd 1st half that simmered to nothing as Scotland will be feeling confident as they led at halftime. Both teams traded baskets as Scotland faced a tall man-to-man defence, with Falkirk and Rocks duo Bunyan and Fraser working in tandem to breakdown the English defence. Murray continued to attack the basket and earn himself 2 freethrows as Scotland edged out to a 6 point lead 42-36 halfway through the 3rd quarter. England struggled to hit anything beyond 15 feet as they shot a poor 17% from beyond the arc and it was not much better from midrange. With 4 minutes left, England only led in one area, team fouls; 5-0. Bevo got his men to continue attacking the basket as he knew any foul would send them for free throws. England’s woes continued as they failed to score on back to back possessions as Scotland sailed out to a 9 point lead. Kofi Josephs personally put England on his back and evaporated Scotland’s 9 point lead to just 2. Turnovers became an issue for Bevo’s men as they didn’t allow themselves an opportunity to score, with England picking up steam some would say there was a momentum shift. Kofi continued to defy the English trends of poor shooting as he sunk a 3 way back from the other side of Australia, cutting the deficit to 1 as England trailed 48-49 to Scotland. Scotland came out of the gates as Malcolm froze the defence for the first points of the final period and then Fraser forced the turnover for Jimenez to hit an open baseline shot that put Scotland up by 5. Gareth Murray must have had glue on his hands as he snatched the ball out of clean air to finish with a strong move to the basket to convert his own steal. Murray continued his hot streak and couldn’t miss as he hit a tough 2 over his defender. The bench went wild as Vigor hit a putback forcing England Coach Andreas Kapoulas into a timeout with 6 minutes left in the game and his men down 9, 61-52. Mike Vigor played hero ball as he hit a 3 to extend Scotland’s lead back to 8 and then hit a sweet 2 off a beautiful pass from Fraser Malcom. With 3:40 remaining, Scotland held the biggest lead of the game 68-58. Vigor continued this breakout period as he hit a 2nd consecutive 3 after England’s Jackman split his freethrows. Achara hitting a tough 2 sent the bench into hysterics again as Scotland led by 14 and Kapoulas calling his 2nd timeout. His instructions were clear for his English men, give it to Kofi Josephs. Beveridge was receiving high praise for the way he had his squad playing after such a short time together, showing his class as a world-renowned coach. With under a minute remaining, Scotland commanded a 14 point lead. England came out scrapping trying to cut the lead to anything they could. Murray checked out of the game with 5 seconds remaining to a standing ovation from the crowd. Scotland went on to claim a huge first victory over old rivals England, 78-65. An incredible first game from a strong Scotland team – the next against Cameroon on Saturday.